Designed to be the highest visual symbol of the State, South Africa's Coat of Arms appears on citizens' passports and on their birth, marriage, and death certificates. It adorns embassies and consulates overseas, and forms part of the Great Seal used to signify the approval of the South African president. It's an emblem of everything that the country is and stands for; and in this article, we look at the rich symbolism behind the Coat of Arms' many different elements. South Africa's Coat of Arms has not always looked the way it does today. After the fall of apartheid in 1994, the new democratic government changed many things - including the South African national anthem, and the national flag. 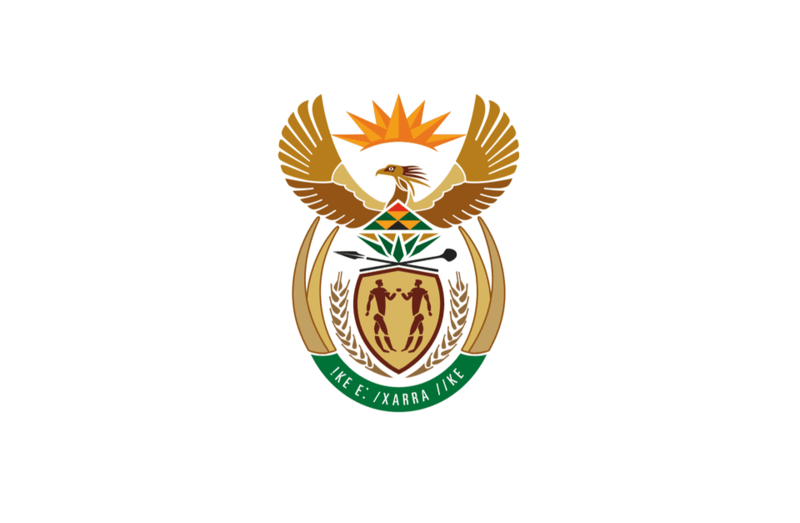 In 1999, the government started its quest for a new Coat of Arms, whose symbolism would reflect the democratic policies and racially tolerant nature of the new South Africa. Like the anthem and the flag, it also needed to represent the nation's diverse cultures. The Department of Arts, Culture, Science, and Technology asked members of the public for their ideas regarding the design of the new Coat of Arms. These ideas were combined into a single brief, after which umbrella organization Design South Africa asked 10 of the country's top designers to put forward a sketch that would bring the best of these publicly-approved elements together. The winning design belonged to Iaan Bekker and was introduced by president Thabo Mbeki on Freedom Day 2000. The Coat of Arms has many elements organized into two oval groups, one on top of the other. Together the two ovals create a symbol of infinity. At the base of the Coat of Arms is the motto: !ke e: /xarra //ke written in the Khoisan language of the /Xam people. When translated into English, the phrase means "Diverse People Unite". On either side of the motto, pairs of elephant tusks symbolize wisdom, strength, moderation and eternity, all of which are attributes associated with the mighty African elephant. The tusks enclose two ears of wheat, which serve as a traditional emblem of fertility and represent the development of the country's potential as well as the nourishment of its people. At the center of the foundation, the oval is a gold shield, intended to symbolize spiritual defense. On the shield are depicted two Khoisan figures. The Khoisan are the oldest inhabitants of South Africa and a symbol of the country's rich heritage. The figures on the shield are based on the Linton Panel (a world-famous piece of rock art now housed in the South African Museum in Cape Town), and face each other in greeting and unity. The figures are also intended to be a reminder of the collective sense of belonging that comes from national identity. Above the shield, a crossed spear and knobkierie (a traditional fighting stick) separate the lower oval from the upper oval. They represent defense and authority but are depicted lying down to symbolize peace and the end of conflict within South Africa. At the center of the upper oval is the South African National Flower, the King Protea. It is comprised of interlocking diamonds, which are in turn intended to mimic the patterns found in traditional crafts, thereby celebrating South African creativity. The protea itself represents South Africa's natural beauty and the literal blooming of the country after years of oppression. It also forms the chest of the secretary bird, whose head and wings stretch out above it. Known for eating snakes and for its grace in flight, the secretary bird on the Coat of Arms acts as a messenger of the heavens while simultaneously protecting the nation from its enemies. It has god-like connotations, from its bright gold color to the upward spread of its wings, which symbolize protection and ascendance in equal measure. Between its wings, the rising sun represents life, knowledge, and the dawning of a new era. When considered as two parts of a whole, the secretary bird of the upper oval seems to be hatching from the shield of the lower oval. In this way, the Coat of Arms achieves its purpose of commemorating the birth of a brand new nation.